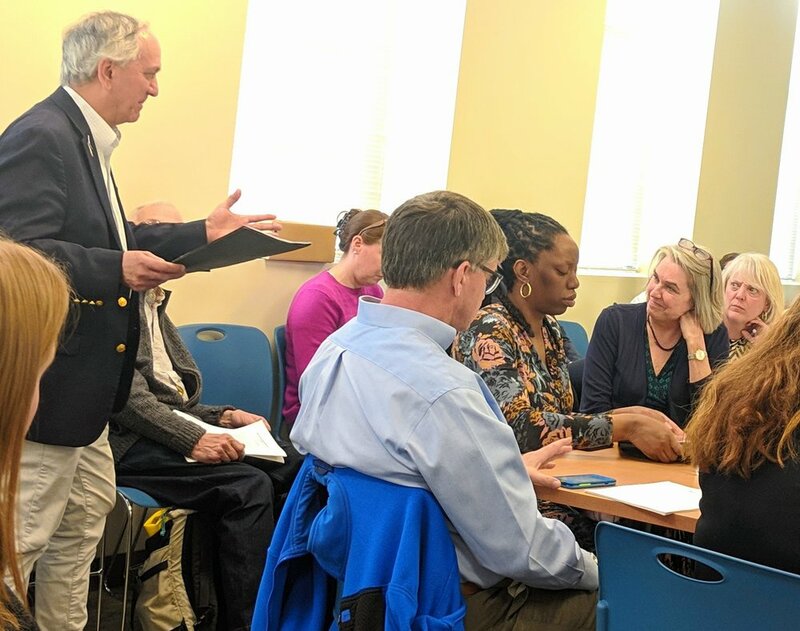 PROVIDENCE — The first meeting of the year for the state Executive Climate Change Coordinating Council (EC4), held March 25, offered a laundry list of news items. Carbon fee and emission tracking: Paul Roselli, of the Civic Alliance for a Cooler Rhode Island and the Burrillville Land Trust, delivered a letter to EC4 chairwoman Janet Coit asking when the mandated study for a statewide carbon tax would be conducted. The study was ordered by the General Assembly in 2017, but a lack of funding has kept it from being done. The study is estimated to cost between $150,000 and $250,000. The deadline for completion was Dec. 31, 2017. Roselli noted that a lobbyist for the New England Petroleum Council said during a recent hearing for a carbon tax bill that the legislation shouldn’t go forward until the study is completed. “If that is the fossil-fuel/petroleum industry’s objection to why the carbon tax or carbon study should be done, then let’s give them a carbon study,” Roselli said. Coit didn’t respond. Last spring, the Office of Energy Resources (OER) told ecoRI News that it expected to fund the study soon. Ken Payne, also a member of the Civic Alliance for a Cooler Rhode Island, has delivered a report that concludes the state must do more to meet its emission-reduction targets. “End business as usual,” Payne has said. Coit acknowledged at the start of the March 25 meeting that Payne’s report was valuable and she shared it with the EC4. She reminded members that the board has no enforcement and rule-making authority and can only offer guidance and information. Coit told department heads that they need to be implementing climate-change best practices within their agencies. Those actions will be included in the annual report given to the governor in May. The EC4’s only subcommittee, the Science and Technical Advisory Board, will address emission reductions as it looks to fill three openings on the committee. The new members must be confirmed by the Senate by June 1. Solar carports and brownfields: OER and the Rhode Island Commerce Corporation are offering $1 million for developers to build solar arrays on brownfields and atop carports. The initiative is funded through proceeds from the state’s participation in the Regional Greenhouse Gas Initiative. New Jersey is about to rejoin the coalition and Virginia is set to become a new member. Adaptation workshops: The Nature Conservancy and the Rhode Island Infrastructure Bank are offering community resilience building workshops to three municipalities. The workshops will identify priority infrastructure and resiliency projects and ways to pay for them. Climate change: Dave Vallee, head of the National Weather Service’s Northeast River Forecast Center in Norton, Mass., followed up on his recent presentation at the Land & Water Conservation Summit. The Rhode Island native noted that the ground across much of New England is soaked and could lead to flooding if heavy rains fall during the next 6-8 weeks. Late-winter and early-spring rain storms are more common, Vallee said. The water is harder for the soil to absorb because vegetation has yet to bloom and soak it up. He noted that climate change has led to stronger one-time rain events and storms that linger over geographic regions. The average annual rainfall is increasing by about 1 inch per decade. This added runoff is exacerbated by inadequate drainage systems and development in wetland and riverine zones. Small watersheds and basins are getting swamped. “And all of those elements are working against us. That’s the challenge we face,” Vallee said. The Scituate Reservoir is filling up in March instead of by June when it was designed to reach capacity. In 2018, the state’s primary water source filled in December, according to Vallee. He said the climate in Rhode Island is now similar to Delaware, noting that the coldest year during the past 30 is still warmer than the overall average annual temperature. New member: The EC4, a committee of state agency and department heads, has one new member. Kevin Lynch, deputy administrator of the Division of Public Utilities and Carriers, has been named acting administrator since Macky McCleary left in March for innogy Consulting, a Boston-based management consulting firm that assists energy companies.